During pregnancy your doctor will go over plenty of do’s and don’ts. It is important to eat right and drink lots of water. You should be moving every day, but don’t jump around on a trampoline or do sprints on the track in the latter stages of your pregnancy. Do eat healthy whole foods, but make sure you wash them to prevent Listeria infection and other food borne illnesses. There are so many things a pregnant woman can and cannot do, sometimes the dangers of everyday activities get lost in the mix. The Kitty Litter Box: It is unsafe for pregnant women to change the kitty litter box. Toxoplasmosis is a condition associated with contact with cat feces. It can be extremely dangerous for pregnant woman and could cause harm to the fetus or fetal death, in severe cases. The Bathroom Once-Over: Once a week I would open the windows in my home and use about a gallon of bleach to disinfect the bathroom. After pregnancy I never thought twice about keeping the same weekly cleaning schedule until my doctor mentioned the fact that I shouldn’t be using bleach in a confined space. It seems he could smell the bleach on my hands from my weekly cleaning sessions. The After-Day Hobby: Plenty of people love to sit quietly with a set of paints and a canvas for a little creative therapy. 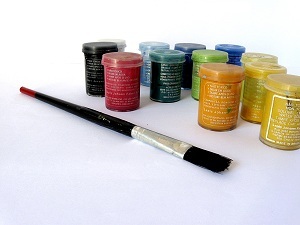 Paints of all kinds can contain chemicals called volatile organic compounds or VOCs. VOCs are dangerous to human health, especially the health of a pregnant woman and fetus. Along the same lines, pregnant women should not be in the home when the nursery or other room in the home is being painted. There are low VOC paints available that area safer, but it is always better to stay out of the home while paining is going on.